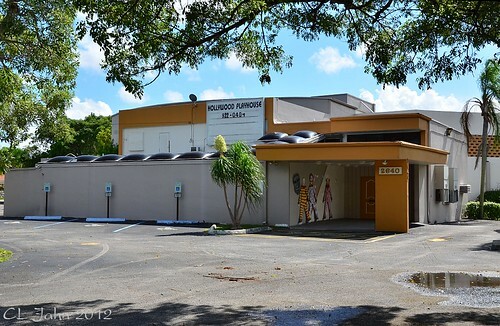 The Miami Herald reports that the Hollywood city commission voted to exercise the deed restriction on the Hollywood Playhouse property on Wednesday, and seemingly voiced support for bringing back theatre to the city. Of course, in this economy, not everyone agrees. Mr. Bober apparently hasn't done much research into the subject of the effects of having a theatre in town; the national average is that every dollar invested in a performing arts venue spurs eight dollars of economic return to the community. And that will fund a few police officers. Fortunately, even with a wimpy mayor, the city commission is willing to take the fight to court, if necessary. Make sure you contact the City of Hollywood and let them know your position on the matter.